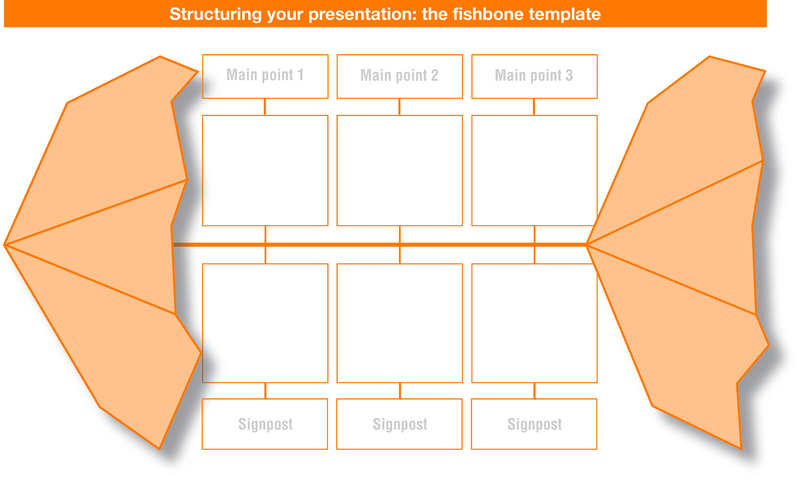 Thank you for downloading the Fishbone Template from The Authority Guide to Presenting and Public Speaking. Full instructions on how to use it and an example of ‘what goes where’ can be found in the print version or e-book of the book. If you’ve got any queries or would like to licence or reproduce this for use elsewhere, please contact me using the ‘Speak To Me’ button in the top right. To download the template, click on the thumbnail below then right-click on the full size image and download to your device.